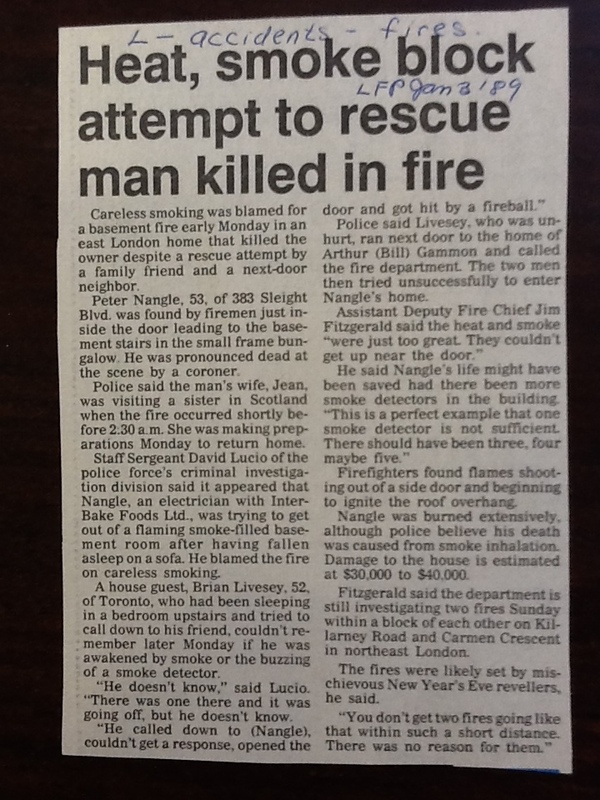 Careless smoking was blamed for a basement fire early Monday in an east London home that killed the owner despite a rescue attempt by a family friend and a next-door neighbor. Police said the man’s wife., Jean. was visiting a sister in Scotland when the fire occurred shortly before 2.30 am. She was making preparations Monday to return home. Staff Sergeant David Lucio of the police force’s criminal investigation division said it appeared that Nangle, an electrician with Inter-Bake Foods Ltd, was trying to get out of a flaming smoke-filled basement room after having fallen asleep on a sofa. He blamed the fire on careless smoking. “He doesn’t know.” said Lucio “There was one there and at was going off, but he doesn’t know. “He called down to (Nangle), couldn’t get a response opened the door and got hit by a fireball”. Police said Livesey, who was unhurt, ran next door to the home of Arthur (Bill) Gammon and called the fire department. The two men then tried unsuccessfully to enter Nangle’s home. Firefighters found flames hooting out of a side door and beginning to ignite the roof overhang. Nangle was burned extensively, although police believe his death was caused from smoke inhalation. 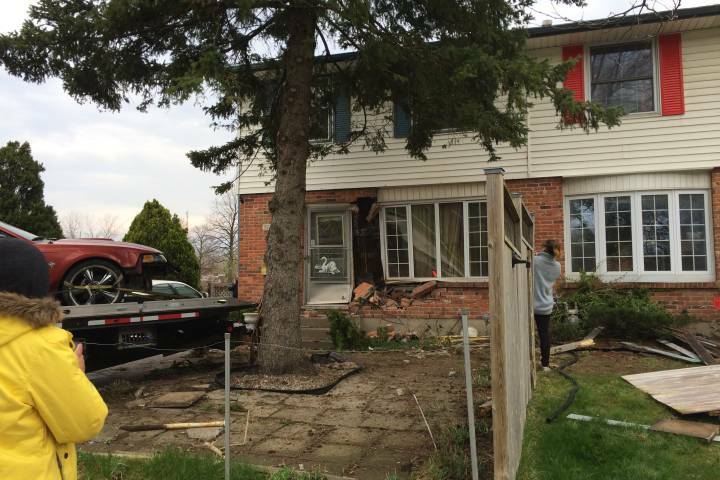 Damage to the house is estimated at $30,000 to $40,000. Fitzgerald said the department is still investigating two fires Sunday within a block of each other on Killarney Road and Cameo Crescent in northeast London. The fire were likely set by mischievous New Year’s Eve revellers he said.